As we reflect on the dreadful events of September 11, 2001, there are many powerful stories of unsung heroism that have still yet to be told. One incredible example seems to reemerge every single year, and there is no wonder why. You might not know that actor Steve Buscemi, recognized for his voiceovers in “Monster’s Inc” as well as a whole host of prominent film roles, used to be a New York Firefighter. From 1980 – 1984, he fought flames with Engine Company No. 55, in the Little Italy section of New York. 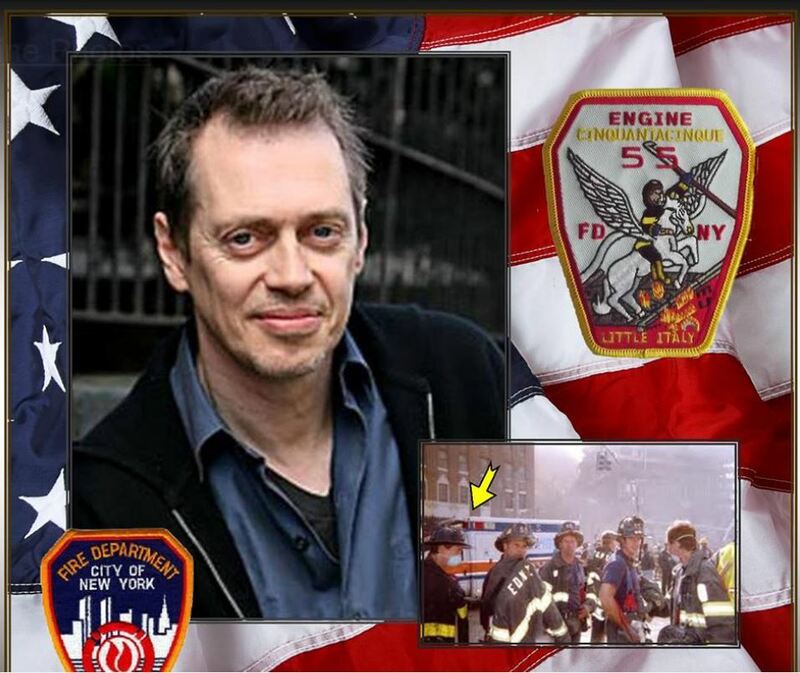 But what many people don’t know is that, following news of the attacks on the World Trade Center, Buscemi rushed down to ground zero to rejoin his fire crew and help save lives, some two decades after he’d first signed up for the job. What is even more astonishing is that Buscemi shunned the limelight and refused interviews following his staggering heroics – an incredibly humble gesture from a highly popular Hollywood figure. What very few people realize is that he was once one of New York’s Bravest. In 1976 Steve Buscemi took the FDNY civil service test when he was just 18 years old. In 1980 Steve Buscemi became a New York City Firefighter. For four years, Buscemi served on one of FDNY’s busiest, Engine Co. 55 in Manhattan’s Little Italy. He later left the fire service to become a successful actor, writer and director. After 9/11/2001… Brother Buscemi returned to FDNY Engine 55. On September 12, 2001 and for several days following Brother Steve worked 12-hour shifts alongside other firefighters digging and sifting through the rubble from the World Trade Center looking for survivors. Very few photographs and no interviews exist because he declined them. He wasn’t there for the publicity. In 2003 he also gave a speech at a union rally supporting higher wages for firefighters and to stop fire houses from closing. He got arrested along with other firefighters. Also not very well known is that in 2012 Brother Buscemi showed up in Breezy Point, NY and quietly assisted in the clean-up efforts of the damage and mass destruction left by Super Storm Sandy. Once a brother, always a brother! Just so we’re clear… this guy is a Badass !! !